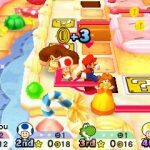 Mario Party Star Rush; New Trailer and Box Art! 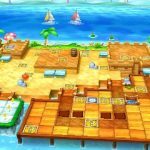 Yesterday, we posted about a new Mario Party game that was coming to the 3DS. 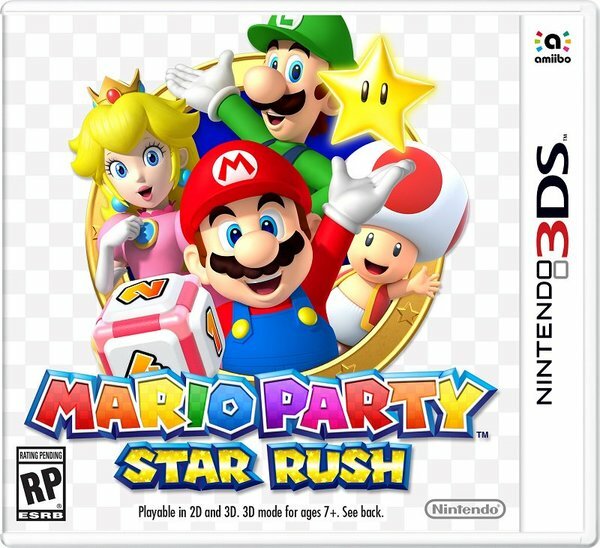 Named Mario Party Star Rush, this game would supposedly let everyone move around the board at once and massively change up how the series works in the process. So how does the ‘everyone moves at once’ thing work? 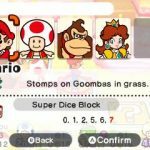 Well apparently, its a mode called Toad Rush where you play as a generic Toad, and team up with four other Mario characters as you run around an open board in any direction. It’s certainly different from past games, and to be honest, maybe not in a good way. Either way, apparently the setup involves the board boss stealing mini stars and you having to get them back by fighting them in their own mini games. 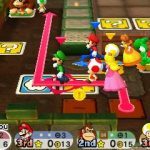 Which to be honest, do look better than the battles in Mario Party 9 and 10. And involve fighting Mecha Bowser in space, which is always a good thing in our book! The game also comes with other (unspecified) modes and the ability to play with up to 3 other players. 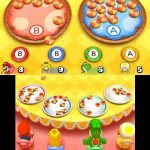 It’s all pretty typical fare for a Mario Party game, at least in that regard. The picture from the box. 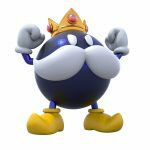 King Bob-omb/Big Bob-omb acts as a boss here too. 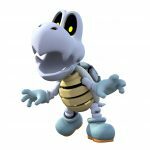 Dry Bones seems to be a boss again. 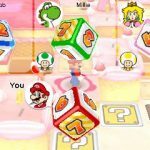 Mini games return, and are played with your chosen team member. Wandering around yet another board with your team. 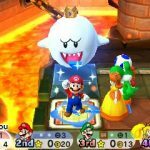 King Boo is a villain in this game as well. Another board in the new mode. 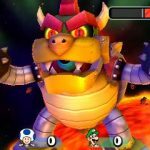 Mecha Bowser returns again, with a new design! 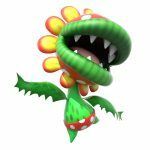 Your team has special abilities and is used in mini games. 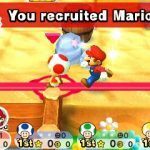 You recruit characters into your team. These boards seem to have themes like in past titles. Four players move at once by rolling the die. 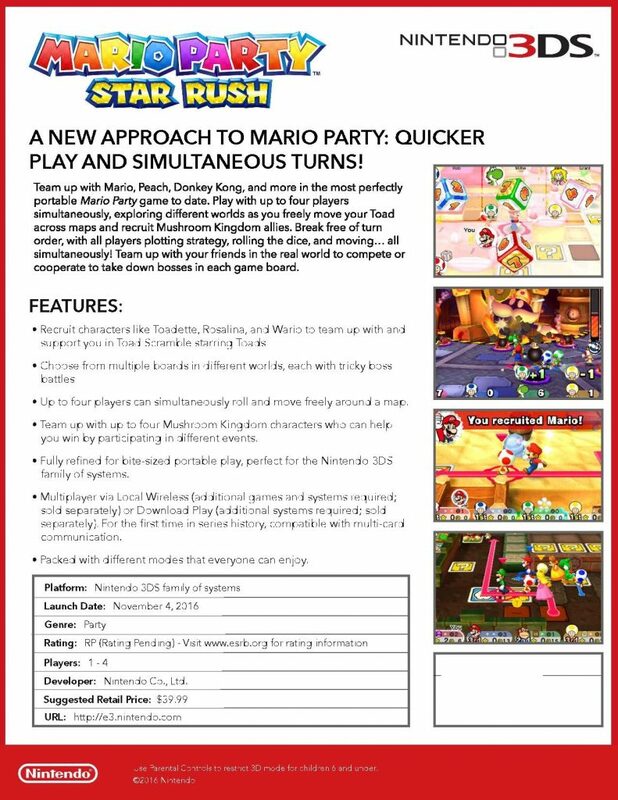 So yes, Mario Party Star Rush looks decent enough. 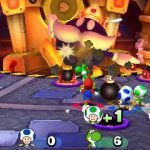 It’s got an interesting enough new mode (which might be ruined by the ‘start as a generic Toad thing’), various bosses from past Mario Party games and the usual assortment of themed boards and mini games. Is it going to be one of the big highlights of E3? 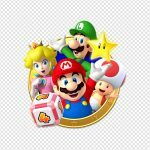 Probably not, but it’s going to keep a few Mario Party fans happy later this year at least. You know, it doesn't look completely horrible. It's a step up from Island Tour anyway. I mean I don't mind the car in MP9 (haven't played 10 yet), but it's nice to move on foot. However, this look heavily multiplayer and unless there's wifi parties, it might be something I get for cheap later on. It could use more stars in the boxart, but what do I know.